Our cats love everything about keyboards, including the heat. 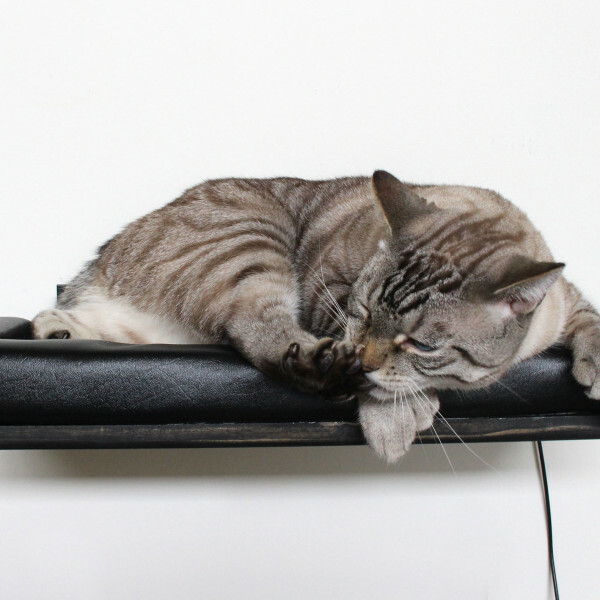 We decided to build a keyboard cat bed that plugged into the wall so that it would be as close to what our cats already love as possible. Sounds dangerous, doesn't it? That was part of the reason we discontinued it. 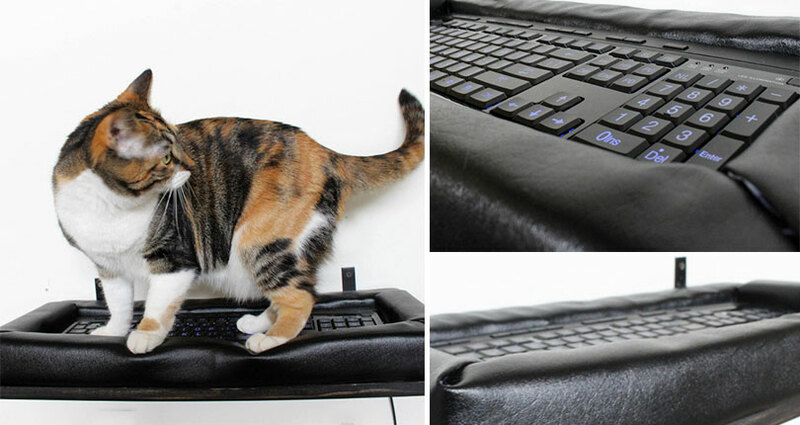 "This is a back-lit keyboard cat bed with pretend leather cushions. It was a very important to us that it was back-lit; it can double as a night light in a hallway, giving off a really nice blue light. After mounting the shelf to the wall, we realized that it doesn’t actually light up when plugged into an outlet. The keyboard manufacture constructed it so that it only lights up when plugged into a computer. Easy fix: We suggest buying a laptop to go with this piece and having it handy to plug in. We have done 0.0 research into how safe this is to have cats on. We suggest unplugging the shelf when not in use."